If you’re a San Antonio lady (note: if you live in New Braunfels, Seguin, Garden Ridge, and Spring Branch – those spring forums and related events are listed on our Austin-area page) considering participating in sorority recruitment this fall (or spring, if your college has deferred sorority recruitment), you might be wondering if it’s right for you, and if so, where you should begin. The answer is San Antonio Sorority Spring Forums! Various alumnaePanhellenic associations have different names for these meetings. You might hear different names like Spring Forums, Spring Sorority Preview events, and Recruitment Forums, which can be a little confusing. 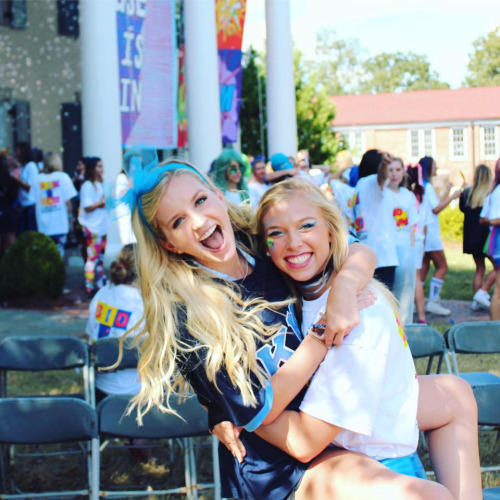 If you see different names – know they’re all sorority recruitment information meetings. Lots of cities have these. San Antonio does too. 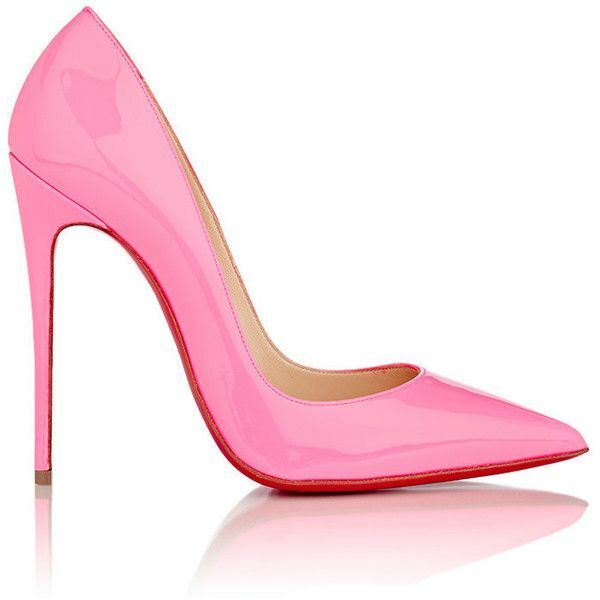 Scroll down to find your local event information! 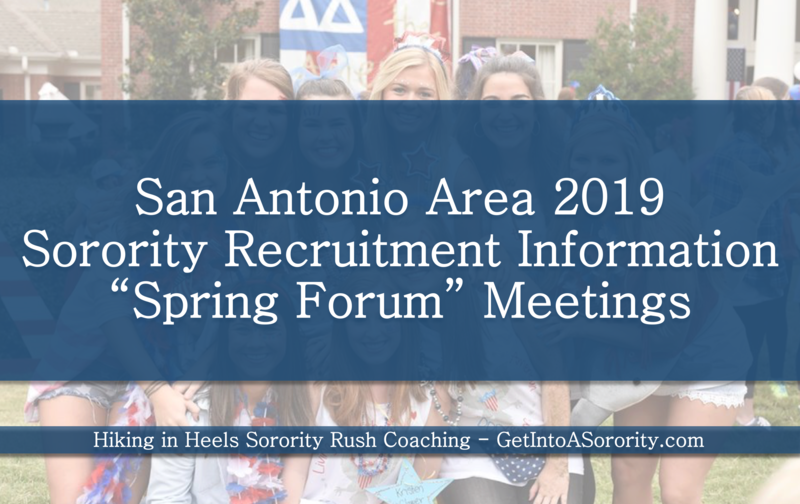 This spring, the San Antonio Alumnae Panhellenic Association will host an annual Sorority Recruitment Information Forum for San Antonio (and San Antonio area) ladies who wish to learn more about joining a sorority and the sorority recruitment process. Attendees will learn more about sorority life, how to register with both their local and university Panhellenic chapters for both fall and spring recruitment activities, sorority reference letters (rec letters), and associated financial responsibilities. 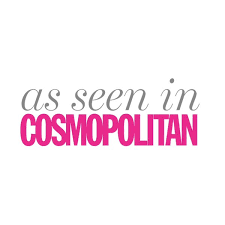 Plus, it’s a great way to connect with local sorority alumnae. See their spring forum details below. What you need to know: Attendees will participate in a meet and greet with sorority members (doesn’t clarify whether or not they mean current sorority actives or greek alumnae members). In addition to a helpful spring forum, they also provide scholarships! Learn more here. This event is free and open to the public. When: TBD – last years took place at the end of April on a Monday evening. As of 2/5 – nothing is posted yet. What you need to know: Spring 2019 sorority forum details are TBD. They hosted one last year, and will most likely do so again this spring. Learn more here.